A brand new Technical Theatre class has been added to the fine arts courses this 2018-2019 year at La Porte High School. Rob Snyder, an educator for the past 18 years, is leading the Technical Theatre class and is excited about calling the new Performing Arts Center home. Theatre has always been a part of his life. He has been in shows since he was seven years old. The former Slicer even appeared on the LPHS stage in a summer production of Hello Dolly. Snyder received a degree in Acting and Directing, along with his Master’s degree, from Indiana University. Following college, he furthered his passion for theatre by becoming the original artistic director at The Round Barn Theatre at Amish Acres. He also has experience of being the production manager for The Organic Theatre in Chicago. Snyder is qualified in the technical theatre field and has many professional acting, directing and stage management credits. LPHS is lucky to have a former Slicer with such impressive theater credentials teaching the new generation of LP students. He is most excited to build his performing arts curriculum at a school with such a rich tradition in the arts. 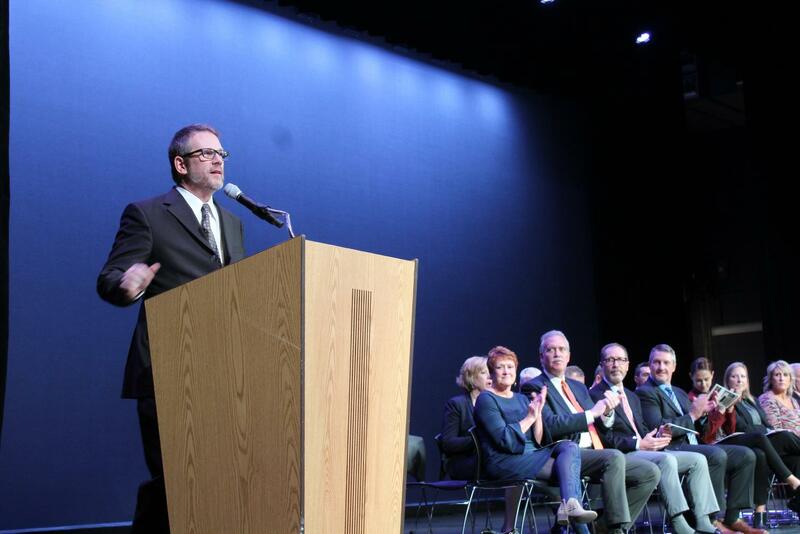 “Students at LPHS will be able to experience the collaborative art of theatre. Students can study dance! I am also very excited about the technology in the PAC. The technology will enhance creativity for every event held in the space,” Snyder said. In Technical Theatre, students have the opportunity to study all aspects of theatre production. They will learn lighting and sound operation and design, scenic construction, stage management and the workings of the fly system. “Students will gain the knowledge of the complexities of what happens behind the scenes,” Snyder said. Students are also able to work in a brand new Performing Arts Center. This class will aide in all productions and events in PAC, and students are gaining new skills that most don’t get to experience in their typical high school classes. “Management skills are applicable in any profession, and the skills taught in the course will be useful to anyone interested in touring or working in the arts. Basic understanding of construction techniques benefits anybody. The collaborative aspect of producing theatre builds interpersonal communication skills, essential to any career,” Snyder, said. There are no prerequisites to apply for this class. Any student interested in taking this course just needs to add it to their schedule for next year or talk to Mr. Snyder about any questions.